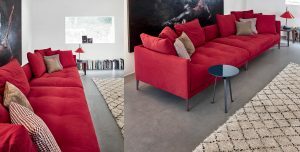 With a vast selection of sofas available it is almost impossible to know where to start when you need to buy one. So here are our top tips to help you on your journey. Firstly, you need to carefully consider the size, layout and positioning of your new sofa. We find many customers want to buy and L-shape arrangement but not every room is going to suit this style. Before you start looking measure the space you have. 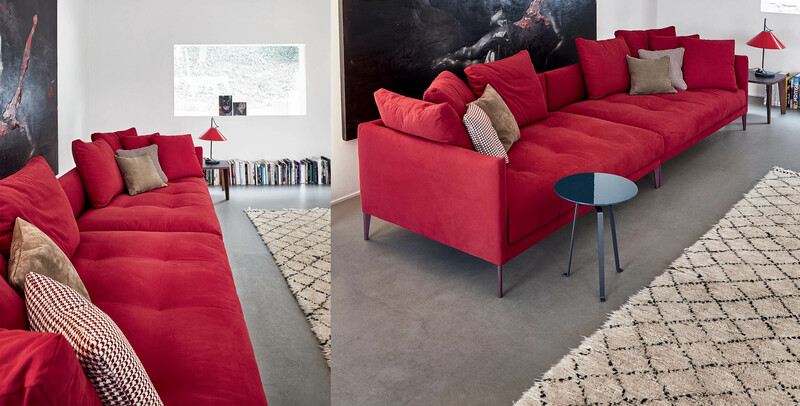 Allow 100cm depth for the sofa and then see what width you can accommodate. Sofas take up a surprisingly large amount of space in a room, so this will quickly focus your mind on what will work for you. 95cm to 100cm is the standard depth of most sofas. If this depth of sofa is still too big then you need to search for small neat sofa models. They are available, but the choice is much more restricted. If on the other hand, you have a very large room to work with then you might want to consider a sofa or sofas that act as room dividers helping to break the space into zones. L-shape arrangements are great for this. So, sofas that look great from every angle are a must. Standard straight sofas with armchairs will give you best flexible use of your space. L-shapes define a space and offer little flexibility if you need to clear the floor for a big party. So carefully consider how your room will work and what it will be used for. Build quality is very important when buying a sofa. If you want your sofas to last, then you must purchase the best you can afford. Look for solid wood frames with high quality springing or elasticated banding with high quality memory foams, feather fill etc. 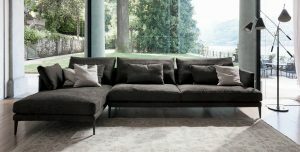 A good sofa retailer should be able to provide you with a good guarantee on the frame. The fabric quality is also very important. Most sofas come with fixed style coverings (apart from the loose cushions). All the sofa models at LOMI have fabric covers which are fully removable for cleaning and replacing when you feel like a change. Fabrics are graded for their usage. Check with the retailer regarding the fabrics properties and the maintenance of the fabric before you buy. Choose a style that you really love and preferably one that won’t date too quickly. The same advice applies to the upholstery covers. Aesthetics are very important, but functionality is equally so. Many customers opt for leather however fabrics have come a long way and many fabrics now have stain repellents integral to the fibres. Go for a colour that will last. Something that you can work with rather than work around. Neutrals are always great, and you can change the look and feel completely with a few brightly coloured cushions to keep up with the latest trends. Finally, do remember that your sofa is a long-term investment. You will probably have it longer than your car and you will be sitting on it for much longer every day. Therefore, do buy absolutely the best quality that you can afford and enjoy it for many years to come. Tagged with design, interiors, living room, sofas, tips.